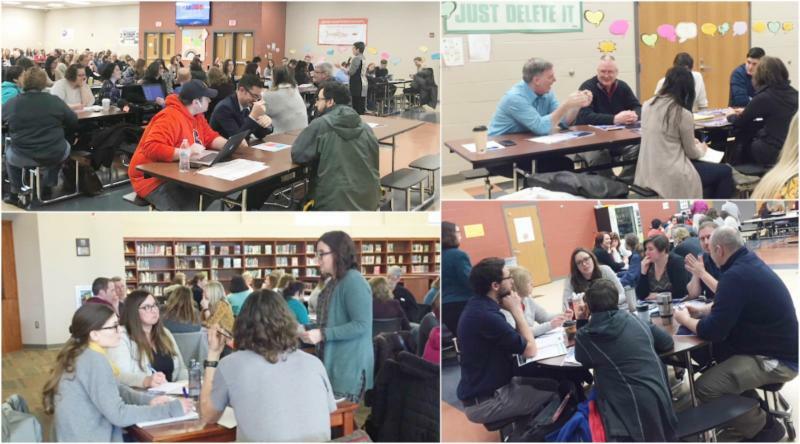 On March 16th, Maine-Endwell High School served as host for the 4th Annual Southern Tier ConnectED Conference in collaboration with Broome Tioga BOCES, NYSCATE, and The Teacher Center Networks. 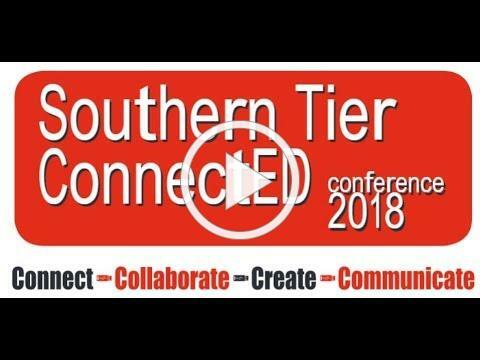 This year's ConnectED conference sold out with over 700 attendees representing 26 school districts from around the region and state. The event kicked off with a keynote address from Chris Lehmann , high school principal at the Science Leadership Academy in Philadelphia, and co-author of Building Schools 2.0: How to Create the Schools We Need . Following the keynote address, attendees chose from a record number of 78 one-hour sessions to see first-hand how teachers are using instructional technology in their classrooms with students. Some of the sessions that were offered this year highlighted themes like digital formative assessment, digital citizenship, creating classroom videos, and many others. Also, this year for the first time, there were 3rd and 5th grade students leading sessions on Google Drive, Chromebook apps, and Breakout EDU. A sincere THANK YOU TO ALL for making this event a success! More Connecting - Collaborating - Creating - Communicating to follow in 2019! What's New About the New Arts Standards? 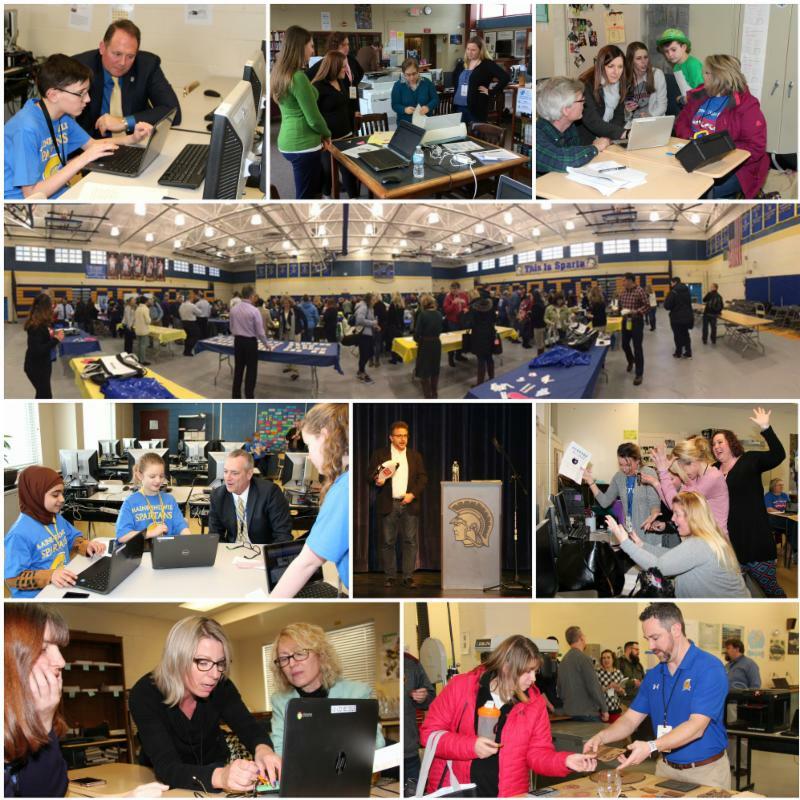 On March 16th, 167 visual arts, music, and dance educators participated in a regional conference at Jennie F. Snapp Middle School in the Union-Endicott school district. The conference focused on What's New About the New NYS Learning Standards for the Arts . The conference was organized in three sessions. Cindy Henry, teacher of visual arts, from U-E and Susan Hoffman, teacher of music, from U-E facilitated the first session. Cindy and Sue provided an overview of the standards while participants were provided the opportunity to examine standards and discuss how the standards could apply to their classrooms. During the second session, participants joined either a “music” or “visual arts” strand. During this session, they reviewed standards for the disciplines that they taught. Teacher identified standards that were already strong in their programs and noted potential gaps between the standards and what is currently being learned. Cindy Henry facilitated the discussions about visual arts and media arts standards. Susan Hoffman facilitated the discussions with music educators. At the end of the day, each group defined their interests for professional development for the upcoming school year. Broome-Tioga BOCES wants to thank and acknowledge the members of the Professional Development Advisory Council for the Arts who planned this event. We also want to thank Union-Endicott for hosting the conference. 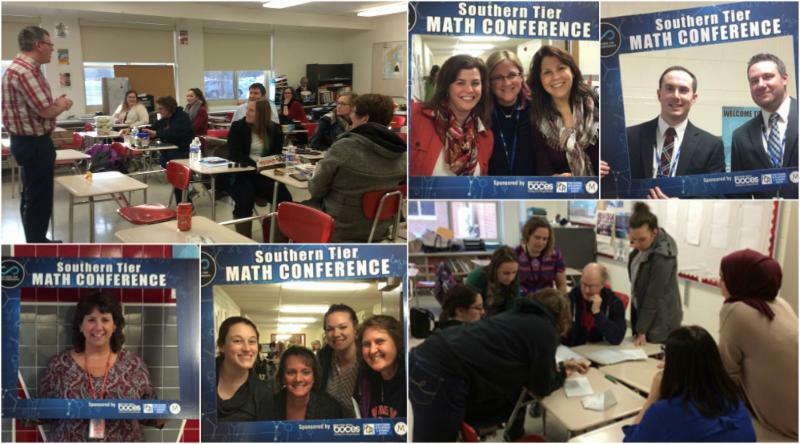 Approximately 170 educators from around the area attended the 3rd annual after-school Southern Tier Math Conference at Chenango Valley High School on March 15th. 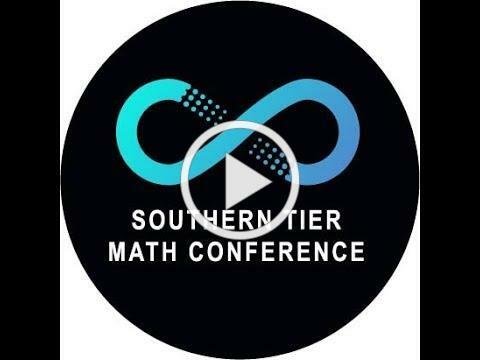 There were over 25 presentations to choose from, including Flippin' Math In-Class, Engaging Your Students with Doodle Notes, From Engagement to Empowerment, Math App Smackdown!, Successful Kinesthetic Teaching S trategies, and Math Stations in a CT Classroom. Between presentations, participants had the opportunity to view products from WSKG, Zearn, MIND Institute, and Eureka Math. Teachers also had the chance to collaborate with colleagues during refreshments, and win raffle prizes donated from the vendors! 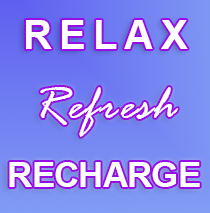 The feedback received so far has been nothing but positive. We extend our thanks to Chenango Valley School District for the use of their facilities, The Master Teacher program of NYS for their generosity, the vendors who donated for our giveaway, WSKG, Zearn, MIND Institute, Eureka Math, and the presenters for sharing their expertise on best teaching practices. Finally, a big thank you to all of the conference attendees, because without you this conference would not be possible! Check out the PD&RC calendar, including Summer 2018 PD here !